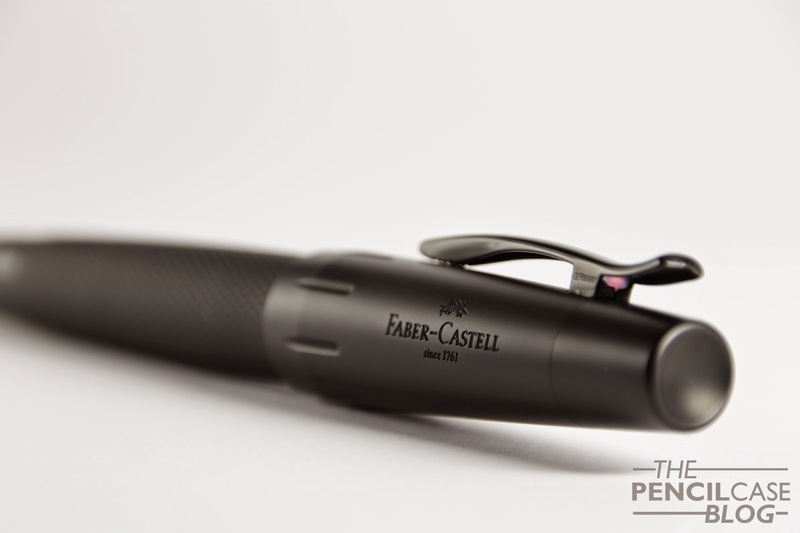 If you read my review about the original Faber-Castell Emotion fountain pen, you might know that that is definitely one of the best pens I've ever used. And this one is no different! 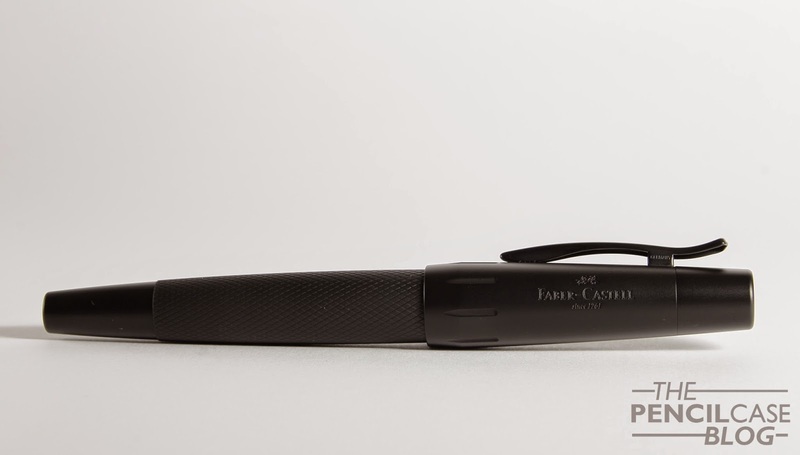 So knowing that I like Black pens, this is like the Holy Grail of pens to me! The aluminum barrel feels very nice to the touch, almost like rubber. Which is very pleasant to hold. And it is also aesthetically pleasing, in a way that the aluminum has a slightly different colour (a bit less dark, more like a dark grey) which gives a subtle but noticeable contrast to the black brass parts. The nib has definitely lived up to my expectations. The fine nib on my own Emotion pen is great, but I was convinced that the Medium nib on this one would be even better. 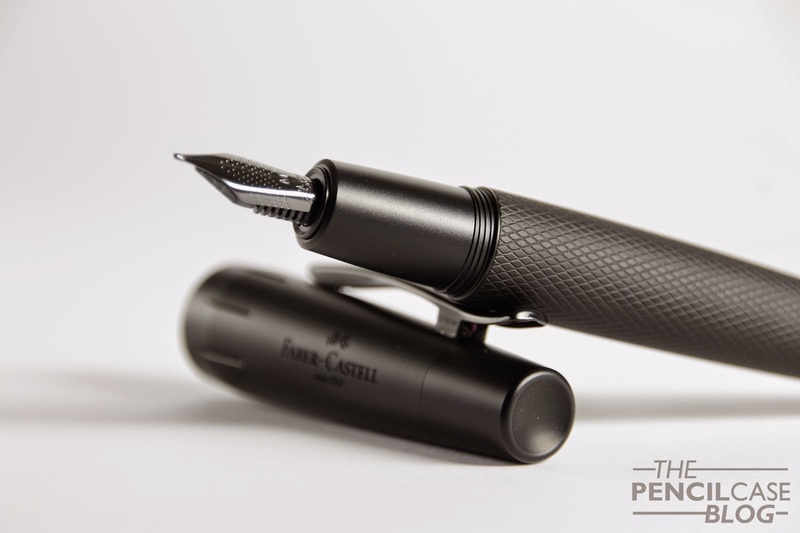 Faber-Castell has a great reputation for their steel nibs, and this one is no different. It is extremely smooth, and the flow is on the wet side, wich makes it appear even smoother. And for some reason, the shape of the iridium tip makes it write a bit like a stub, which gives a subtle flair to your writing It's really quite subtle though!) As I already mentioned, it has a Medium nib, but it seems to write a bit broader than most European nibs, not much, but it was slightly noticeable when writing. 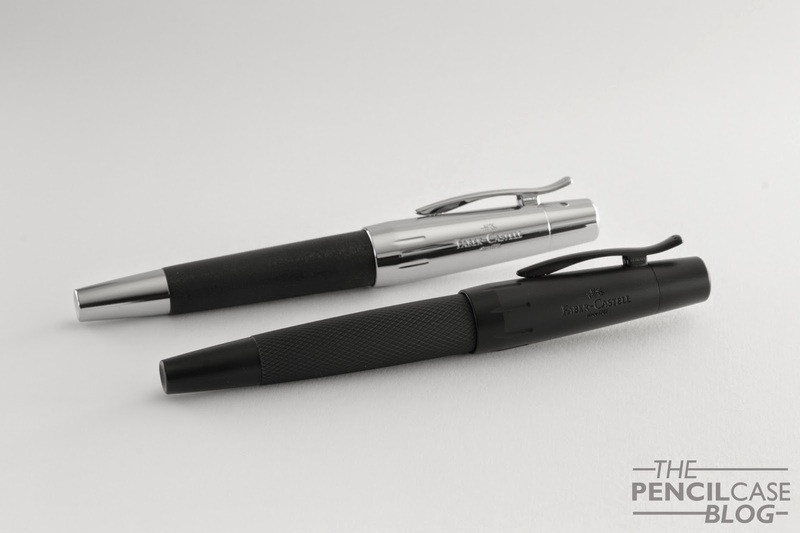 One of the biggest selling points of these pens are its smooth nibs, and believe me, these steel nibs are as good -if not better- than some gold nibs out there, while being much cheaper. 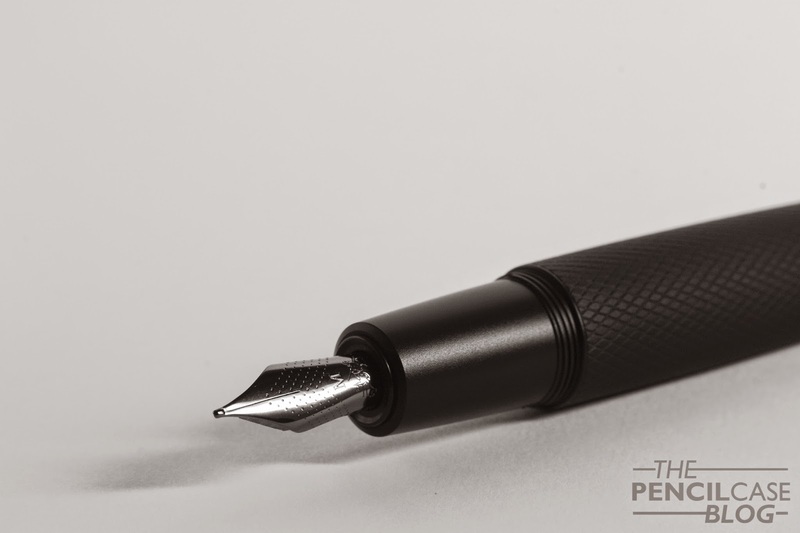 But the nibs aren't only good writers, they also look great, the engraving is very stylish and subtle at the same time, and well... it's BLACK! 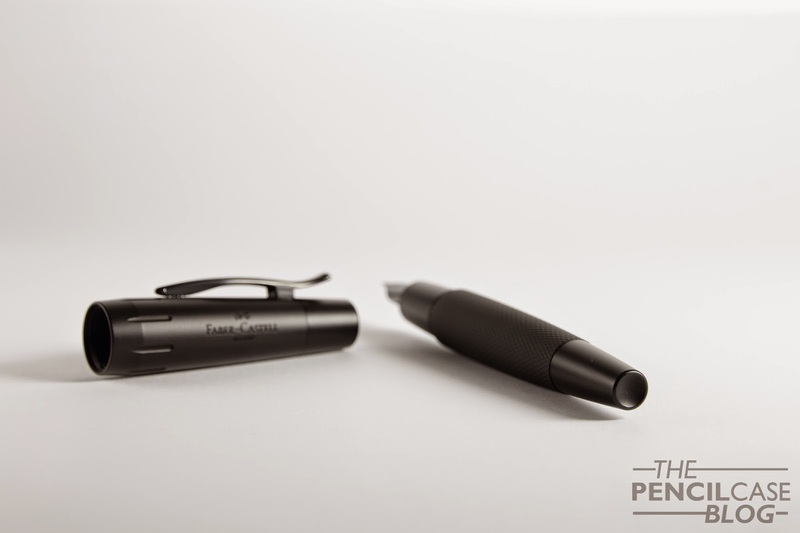 This pen is great, no doubt about that. 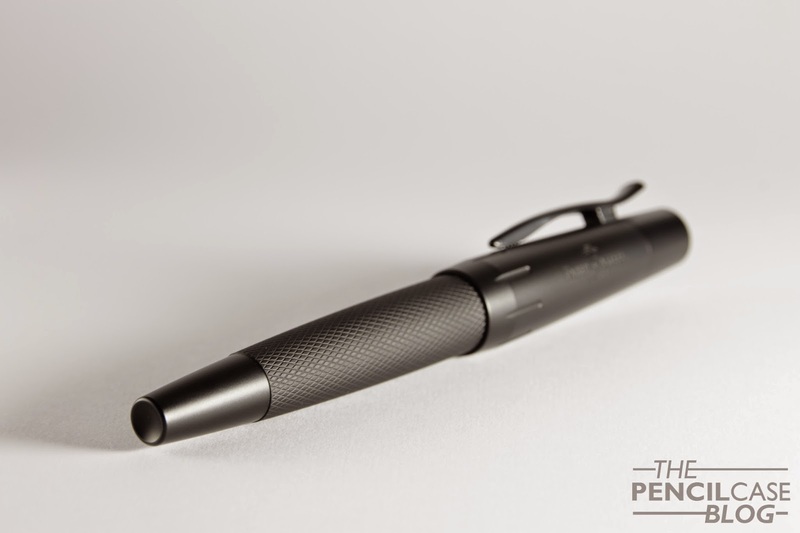 It has everything it needs: the nib is great, the build quality is flawless, and it looks great. 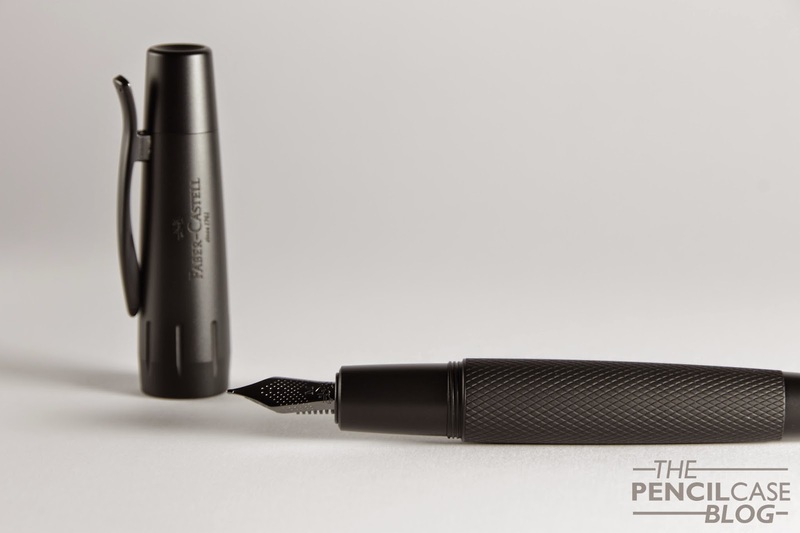 But, that kind of quality comes at a price; At 150 Euros/ 175 USDollars, it is definitely on the higher end of steel nib fountain pens. 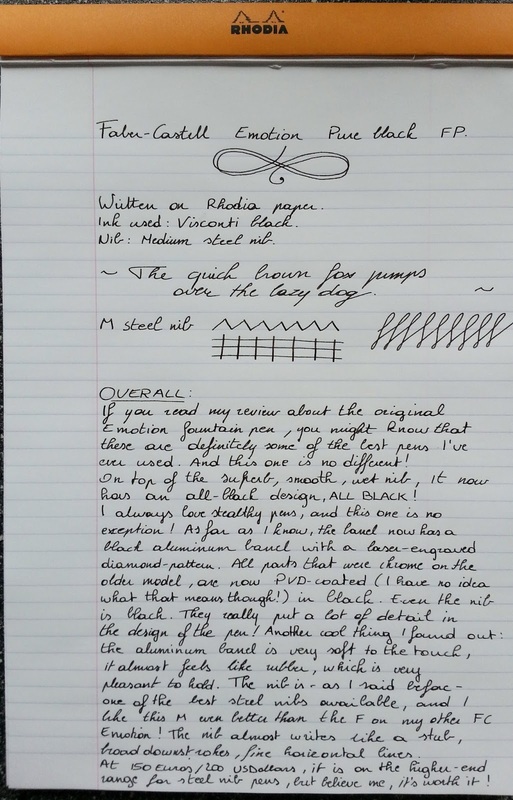 Note: this pen was sent to me by Procura KTC, the Belgian Faber-Castell distributor, free of charge, so I could write this review. I was in no way influenced in the making of this review, nor was I monetarily compensated. The opinions shared in this review are completely my own! Comparing from your handwriting it looks like a fine, instead of medium nib. I also have a fine nib on my own Emotion fountain pen (i also reviewed that one) It is definitely finer than this one. But to me it also feels like it writes a bit broader than average because it writes like a stub nib! The one major design flaw on the Emotion, I feel, is the inability to post the cap. Without posting, the pen is just a tad too short. True, I don't have huge hands, so I could understand that it would be nicer to be able to post the cap when you have bigger hands!